Every time we think of Rajasthan, the very first destination that catch up our fancy is Jaipur. Along with the capital of Rajasthan, Jodhpur or Udaipur also come to mind. For those who have already visited these places and looking to explore the state a little more, here is a list to highlight some of the offbeat places in Rajasthan. This places usually get overlooked by the more popular destinations. These are the places which are nothing less than pockets of serenity amid the chaos that has overtaken so many Rajasthan’s vacation spots. Kumbhalgarh, nestled at height of 1100 meters. above sea level, in Aravali hills and located about 80 km from Udaipur is an easily overlooked destination in by most visitors to Rajasthan. Many people do not know the fact that Kumbhalgarh fort has our Indian version of Great Wall of China. Kumbhalgarh fort’s walls stretch more than 36 Kms and are wide enough for eight horses to ride through in some places. This wall is second longest wall in the world second only to the Great Wall of China. Why this fort was never conquered becomes obvious once you set eyes on it. 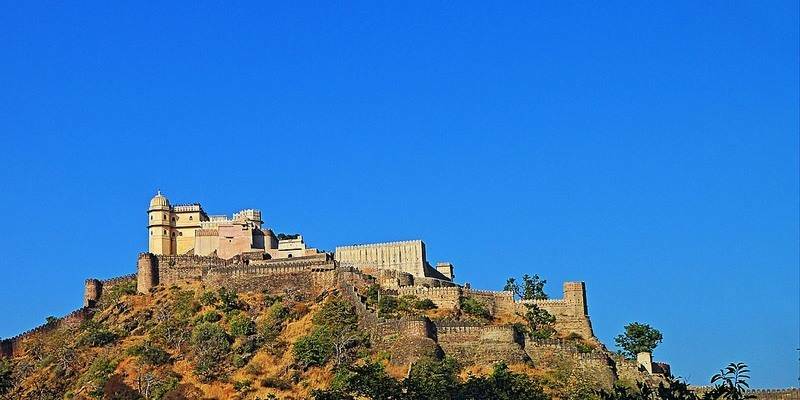 Kumbhalgarh fort is surrounded by thirteen mountain peaks; this mountain fortress has been a witness to many battles. Kumbhalgarh falls within Kumbhalgarh Wildlife Sanctuary. The Sanctuary is home to the rarely seen Indian wolf is one of the inhabitants. Visitors can see the wildlife sanctuary on a horseback! Barmer is a desert town in western Rajasthan, about 150 Kms from Jaisalmer. 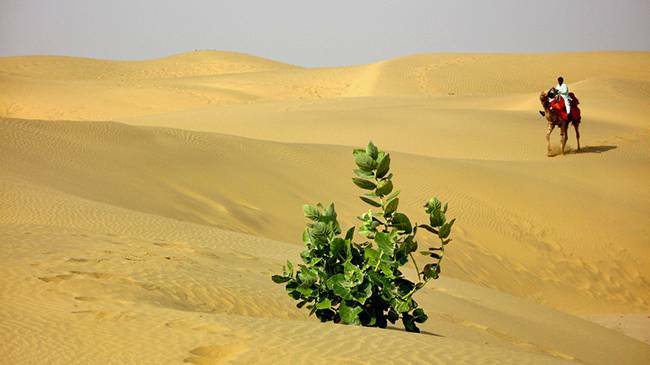 Most of it is barren Thar desert land with harsh climate for most part of the year. Barmer is famous for its historical sites such as Siwana fort and Juna ruins. Barmer is becoming famous for the cattle fair organized in the Tilwara and Thar festival as well. Travelers can get a glimpse of rich culture of Rajasthan and taste the local cuisines as well. Bundi is a little known gem of a place not hounded by tourists yet like some of the more famous places of Rajasthan. 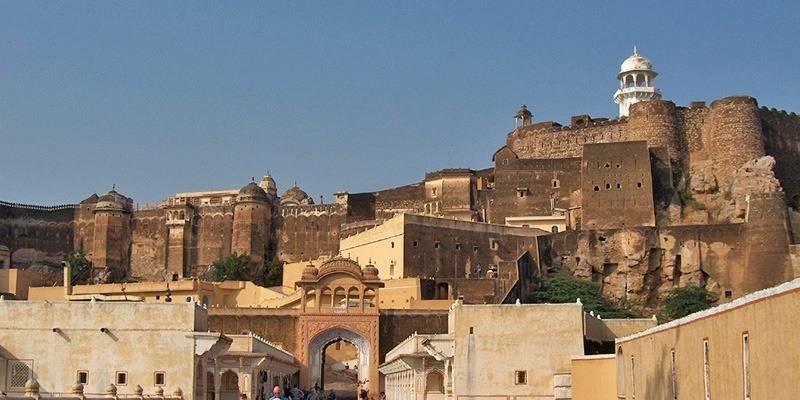 Just about 40 km from Kota, Bundi is surrounded by the Aravalli hills on 3 sides. The small town of Bundi has managed to keep its century’s old magical charm. Bundi used to be the capital of the erstwhile princely states of Rajasthan. Bundi is rich in history and known for its forts and palaces and baolis (step wells). Kuchaman is home to a thousand year old hilltop fort. With its Shekhawati style heritage Havelis, Kuchaman city is slowly making its mark on tourist maps of Rajasthan. The fort now converted into a hotel, is a major attraction of the place. Kuchaman city is even one of the stop of the famed Palace on Wheels journey. With rising tourist footfalls, few heritage havelis have started renting them to tourists. Kuchaman city is about 140 km from Jaipur. Located in southeastern Rajasthan, Jhalawar is a former princely state known for its old temples, forts and palaces. Much of the city was destroyed during the reign of Aurangazeb. One can find city dotted with many ruins of the past. 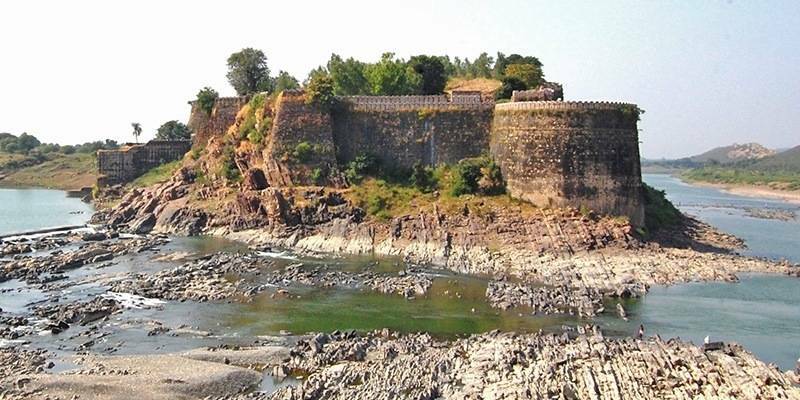 Jhalawar Fort, known as Garh Palace is the prime attraction here. There is some little known Buddhist Cavesin Kolvi near Jhalawar. There are more than 50 caves in this region belonging to 5th to 8th century AD. 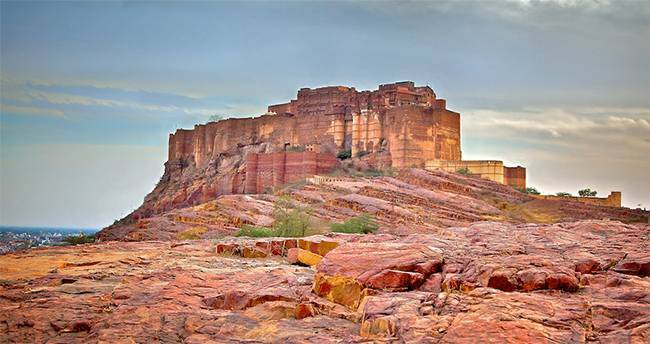 An Oasis in the desert – Osian is the erstwhile capital of Marwar kingdom, about 65 km from Jodhpur. The city not popular among the tourists yet, has many old temples going as far back as 8th century. Though many temples are now in ruin, few of them are still in great shape and one can still admire their construction and design. Most important among them are the Sun Temple and Sachiya Mata temple. 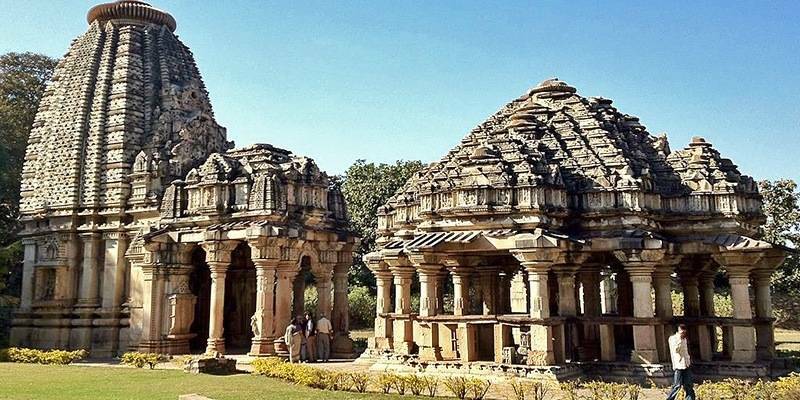 A group of exquisitely carved stonework, the 10th century temples by the Chambal River is the setting you would see if you arrive in Baroli village in Chittorgarh district of Rajasthan. Well kept by the Archaeological Survey of India, the fascinating structures of Baroli Temple Complex constructed in Pratihara style of temple architecture will mesmerize you with their grandeur and finesse. Ghateswar Shiva temple is the main attraction here and believed to be the oldest temple in Rajasthan. Rana Pratap Sagar Dam and Dara Wildlife Sanctuary are in the vicinity and can be visited on a trip to Baroli. Mandawa is a small town in Shekhawati region of Rajasthan and known for its fort and Havelis. 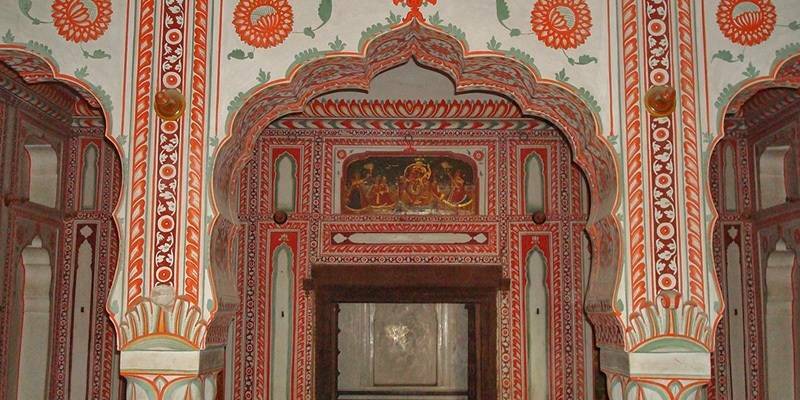 A must see in Mandawa is its exquisite paintings on the walls of many mansions or Havelis situated here. These Havelis belong to old trading or Marwaris communities. Quite a few of them are being restored and converted into heritage hotels. Thanks to its paintings city has earned the tag of “Open Air Art Gallery”. The Mandawa Fort in the middle of town is notable structure and has been converted into a heritage hotel by the royal family. Some of the Havelis that could be visited are Goenka Haveli, Jhunjhunwala Haveli and Gulab Rai Ladia Haveli. Visitors can experience activities like camel rides as well here. The stunningly beautiful Tal Chhapar Sanctuary in Rajasthan is a delight for photographers and bird lovers. This is one of the last surviving grasslands in the plains. 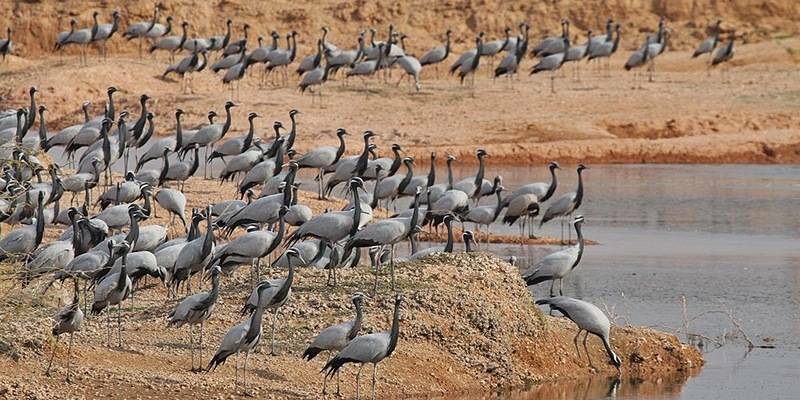 Regions witnesses hordes of Demoiselle cranes crossing over the great Himalayas to reach Keechan village. One can also spot the endangered Black bucks and Indian gazelle at near here. The facilities are pretty basic but decent at Rajasthan Forest Dept. Guest House. 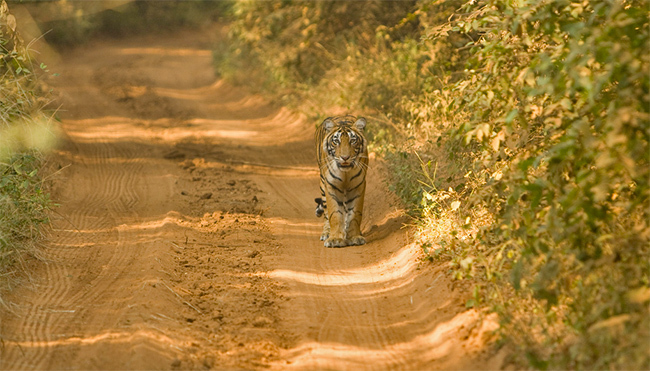 Tal Chapar is about 350 km from Delhi and 200 km from Jaipur. Best time to visit would be from November to February. If you want to get a peek at rural Rajasthan then Mahansar, a small village in Shekhawati region in Rajasthan should be your pick. Located in Jhunjhunu district, Mahansar is known for its one of the finest Havelis in Shekhavati region known as Sone-Chandi ki Dukan. This 18th century Haveli has intricate paintings made of gold leaf. These paintings or frescos on the ceilings depict scenes from Ramayana and life of Lord Krishna. Another specialty of the region is its traditional brew called ‘Mahansar liquor’. Besides the little known offbeat places above, the popular tourist places of Rajasthan are also a must visit places and do not feel that touristy except on long weekends of peak season. 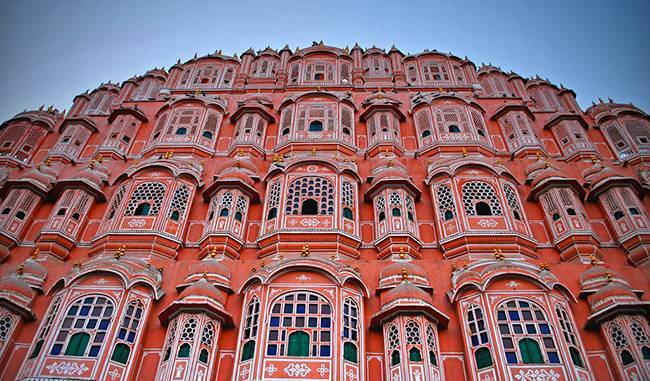 Jaipur is the capital of Rajasthan and known as the “Pink City. It makes the third destination of the internationally popular Golden Triangle circuit along with Delhi and Agra. Jaipur was ranked as 7th best places to visit in Asia by Conde Nast magazine in 2008. Some of the places to visit in Jaipur city are Amber Fort or Amer Fort, Hawa Mahal, Jal Mahal and Jantar Mantar. 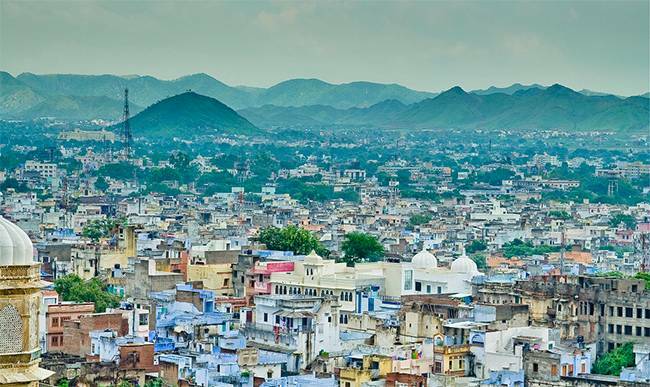 Also known as the “Blue City” due to sea of blue painted houses, Jodhpuris the second largest of the state. Also it is the second most sought after destination for Rajasthan Tourism. Jodhpur is popular for its captivating palaces, markets, temples and lakes like Lake Pichola. Udaipur is known as the ‘City of Lakes’. There are lot of architectural wonders and beautiful places to visit in Udaipur such as City Palace, Jagdish temple and Lake Palace. Like most of Rajasthan winters is the best time to visit this city when temperature is at its lowest. Visitors must not skip visiting Kumbhalgarh and Chittorgarh fort when in Udaipur. Jaisalmer, situated in the middle of Thar Desert is known as the ‘Golden City of India’. Jaisalmer Fort located here was built in 1156 AD and is one of the largest forts in the world. 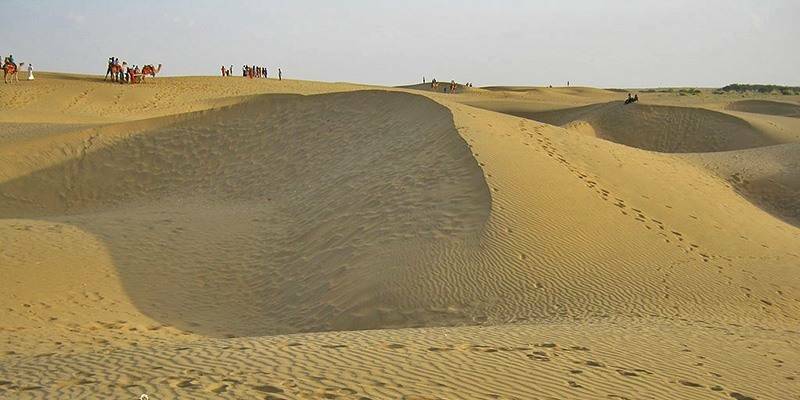 Primary attraction of Jaisalmer besides this sandstone fort are the golden sand dunes. A camel safari or increasingly popular jeep safari in the desert over the sand dunes is a must do activity in Jaisalmer. You should keep two days in your itinerary for this city. If you are coming here by road then you can stop over at Bikaner city as well. 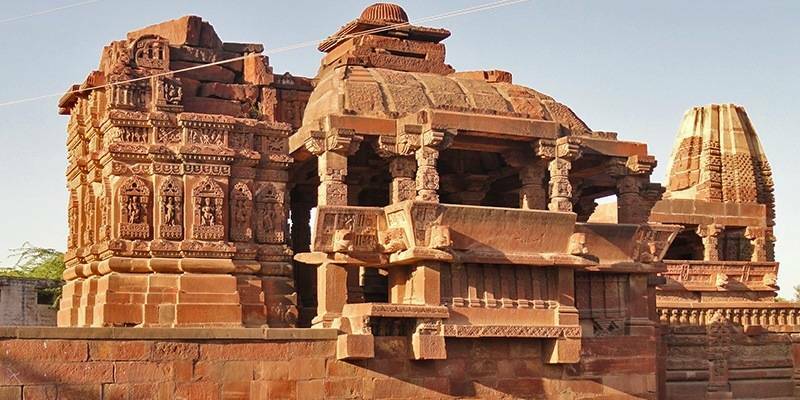 There are other tourist attractions to explore here as well like Bada Bagh and abandoned Kuldhara Village. Mount Abu is the only hill station of this primary dry arid state. 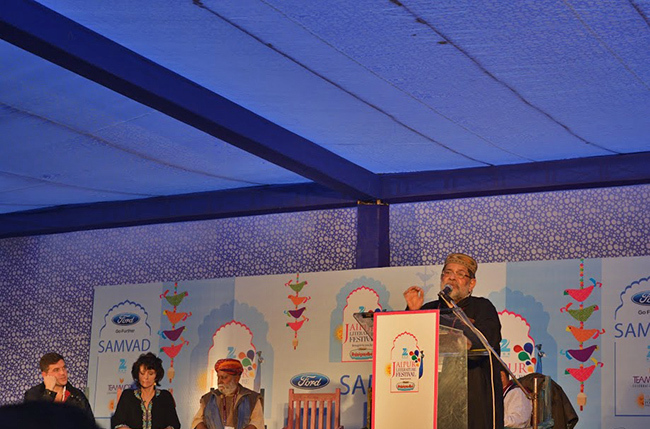 It’s a favorite tourist destination of people of the state as well as neighbouring Gujarat. 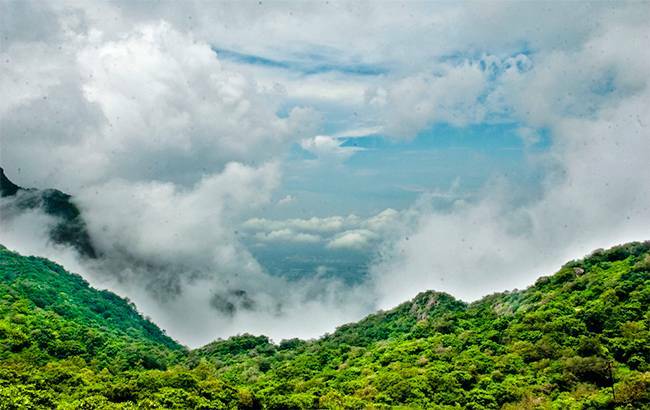 Besides the soothing weather and its hills, Mount Abu is famous for the 11th century Dilwara Jain Temples. Other places include Nakki Lake, Trevor’s Tank, Guru Shikhar and Achalgarh. Mount Abu is 273 Kms from Jodhpur and 166 Kms from Udaipur. Ahmedabad to Mount Abu distance is about 230 Kms and takes a little under 5 hours. Thanks to Ranthambore National Park, Sawai Madhopur features as one of the most visited tourist attractions of Rajasthan. Owning to a higher tiger density chances of spotting a tiger are quite high here. Park also has a fort inside which is now in ruins. Ranthambore National Park remains closed to visitors during monsoon months from 1st July to 30th September. Other places to visit in Rajasthan include Alwar, Ajmer and Bharatpur wildlife sanctuary. 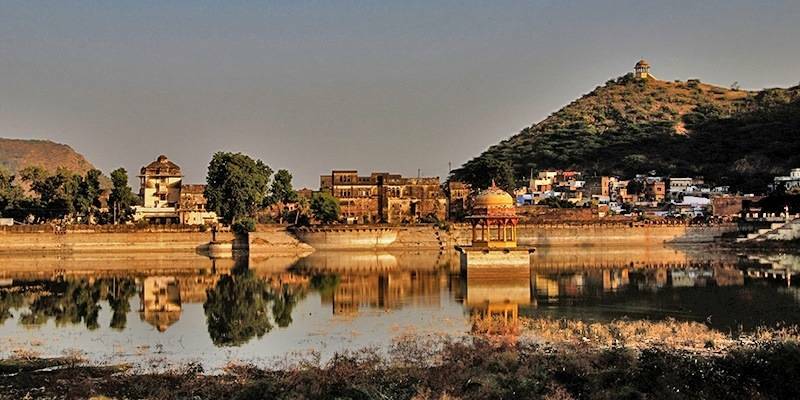 Puskar is also quite famous destination due to its annual cattle fair, Brahma temple and the Pushkar lake. Best time to visit Rajasthan is between the months October to mid-March. In winter months average temperature varies between 20 to 22 degree Celsius which is bearable. Nights can be quite cold however. 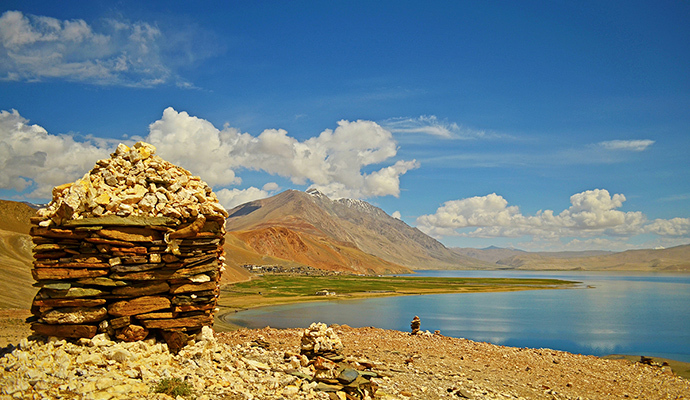 Monsoons is also a good time for many destinations in Rajasthan. Summer months of April, May and June can be quite hot with temperatures in some cities topping 50 degree Celsius.